HOW DID HE GET HERE? Like fellow 2017ers Daniel Young and Samuel Cosmi, Bimage started out as a Houston pledge but flipped to Texas when Tom Herman was hired in late November. The Longhorns offered him about two weeks after Herman came on board; Bimage decommitted from UH on Dec. 23 and then pledged to Texas on Jan. 6, less than a month before signing day. 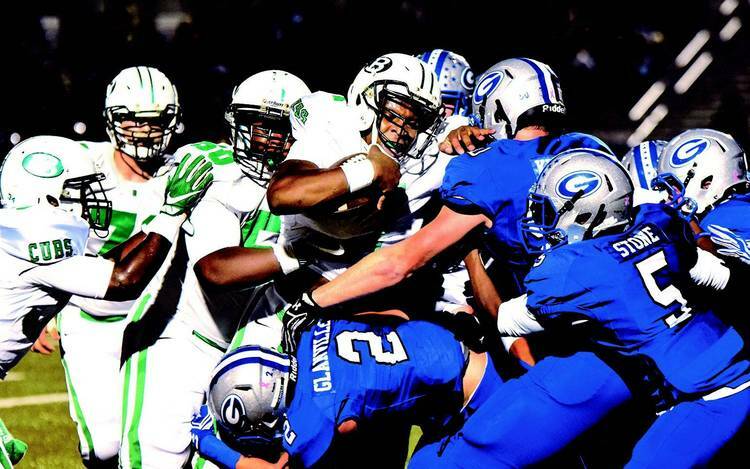 AT BRENHAM: He did a little bit of everything for the Cubs — linebacker, defensive lineman, safety, even some running back, tight end and wildcat quarterback. But he stood out defensively, earning all-state honors in Class 5A and a three-time all-district selection. WHAT HE’S WALKING INTO: If he ends up playing linebacker, he’ll most likely be placed as an inside ‘backer. That’s where the Longhorns need the most help; they also signed JUCO linebacker Gary Johnson. Malik Jefferson has played that middle spot the past two seasons, but is a more natural outside linebacker who can rush the passer. Yes, Bimage has a favorite flavor of Blue Bell ice cream — the Blue Monster, which is cookie dough mixed with cookies and cream. It could only be picked up at the Brenham-based factory. Unfortunately, it was discontinued following the company’s listeria outbreak of 2015. Bimage would opt for cookies and cream these days if he wasn’t one month into a self-imposed six-month break from eating ice cream. By the way, Bimage wants to study to become a dietician. Bimage has a long-time love for the sport of baseball. Pittsburgh Pirates outfielder Andrew McCutchen is his favorite player. He played on Brenham’s sub-varsity teams through his sophomore year before deciding to focus on football. He’s still a baseball fan, though, and said he made it to all but one of Brenham’s district games this spring. Bimage isn’t the only standout athlete in his family. His sister, Keauna, is a junior at Brenham who has played varsity basketball and volleyball since her freshman year.